Great milestone to have received my editor’s response to “The Colonel and The Vicar”. All in all, not bad, but I’ve gotta re-write a few sections, not so much for content but for style; some issues with copyrights to also resolve. Found out that “General Domain” is not entirely true all the time, so I’m chasing the originators of some civil war art that I want to use in the book cover design. Not sure yet but I may have to resubmit to the editor for a final pass… I’ll have to wait and see how confident I am in the changes. krnl_vic is the story of Colonel Henry Tremlett’s journey through four years of war and the land battles in which he participated, but also about the Reverend Francis Tremlett’s escapades as the vicar of St. Peter’s in Belsize Park outside London. 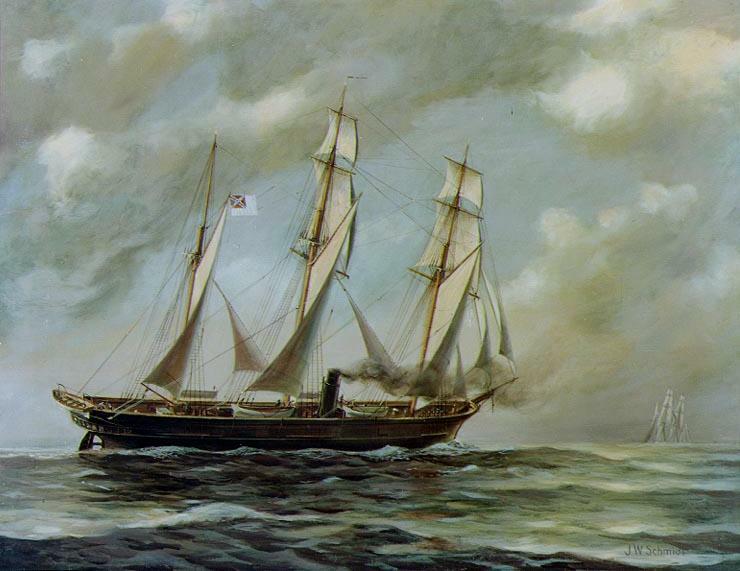 “Father Frank” was raised in Newfoundland and developed a life-long love of the sea, and, coupled with the Confederacy’s need for ships, it’s came as no surprise that he played a vital role that involved many Confederate navy men. I think they call ships “she” because they have all the curves in the right places! This blog feeds my Twitter, Facebook, and LinkedIn accounts. Hello faithful followers! While “The Colonel and The Vicar” is still with my editor, I would like to take this opportunity to introduce the two main characters in the book. The first is my great-great-uncle, Lt. Col. Henry Martyn Tremlett. 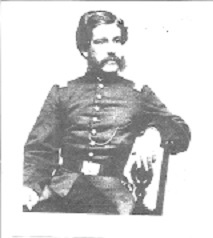 Here’s what he looked like shortly after joining the 20th Massachusetts Volunteer Infantry as a captain and commanding officer of Company A.
Henry was part of a large family that lived in Dorchester, MA, and worked in his father’s successful merchant shipping business before the war. One of Henry’s sisters, Cordelia, married my great-great-grandfather, Charles L. Rayner. Marie thinks that “Henry was a hunk”. The other main character is my first cousin (four generations removed) and Henry’s first cousin, Francis William Tremlett. “Frank” grew up in Twillingate, Newfoundland where he initially became an Anglican missionary to the local eskimos that lived there. Father Frank would travel from Newfoundland to briefly live in Boston before taking ship to England where he would settle permanently and found the Church of St. Peter’s in Belsize Park outside London. 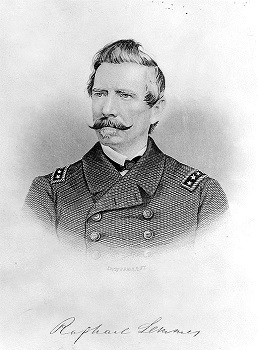 He was the principal English collaborator with the Confederate States of America. Regrettably, the quality of this photograph is about the best I could find. 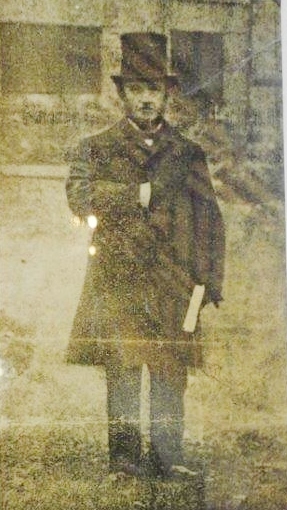 The dearth of photographs of the Reverend Francis may owe to anecdotal evidence that I was told that many of his papers were destroyed after the end of the civil war. He was a true renaissance man who was well-travelled, could speak multiple languages, held four doctorates (including one of Doctor of Divinity), and had a voice and style that could really hold ’em in the pews on Sunday. I’m pleased to say that at long last my second book, The Colonel and The Vicar, was submitted to my editor this past Thursday. I expect 3 to 4 weeks before I get final feedback, though interim feedback is possible.